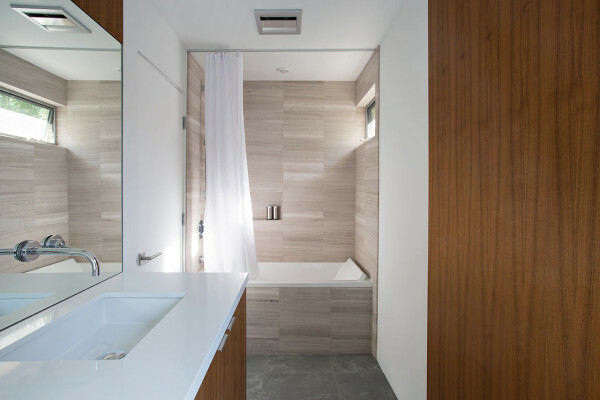 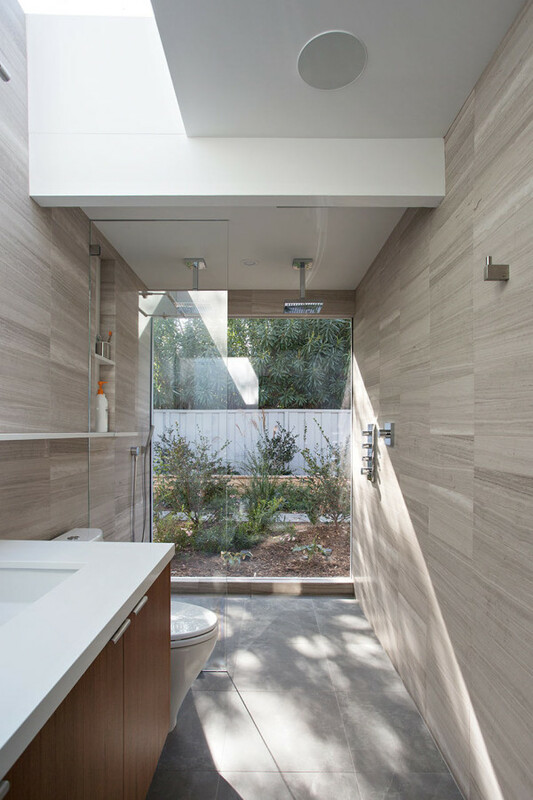 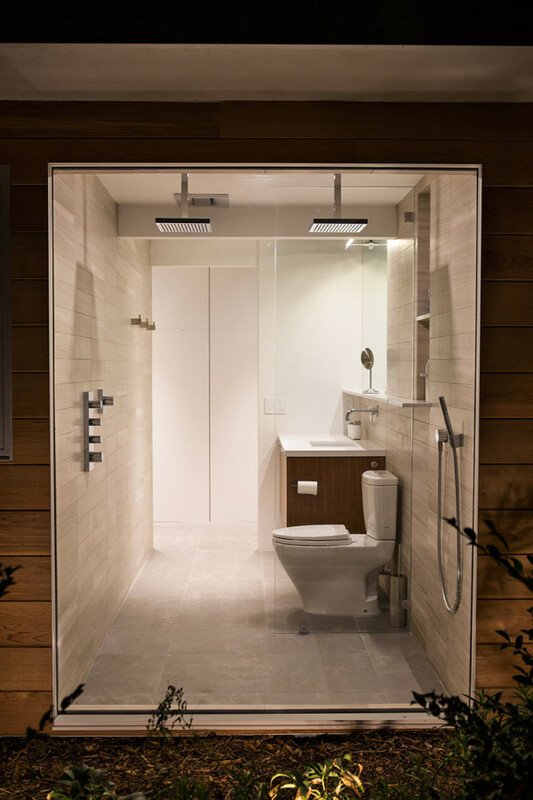 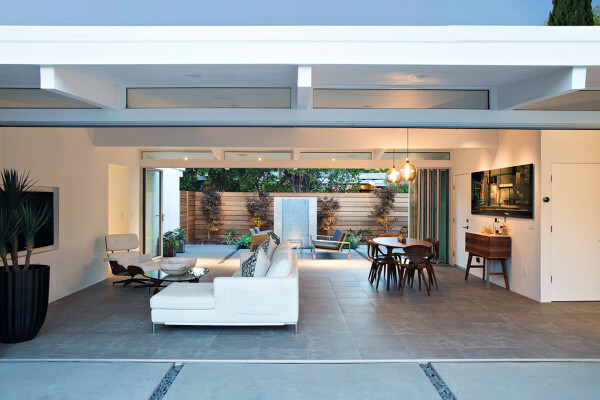 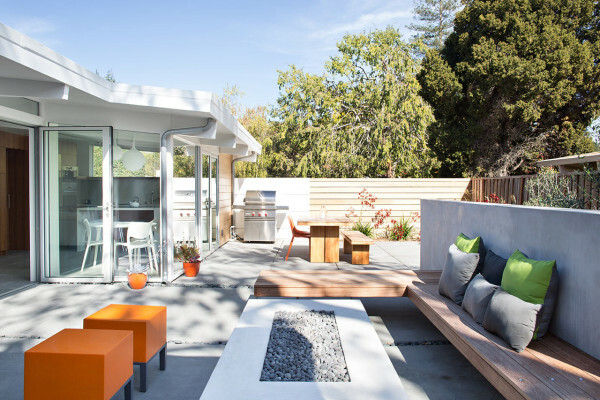 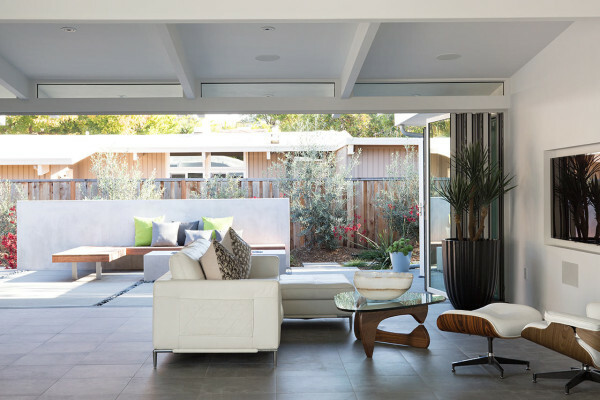 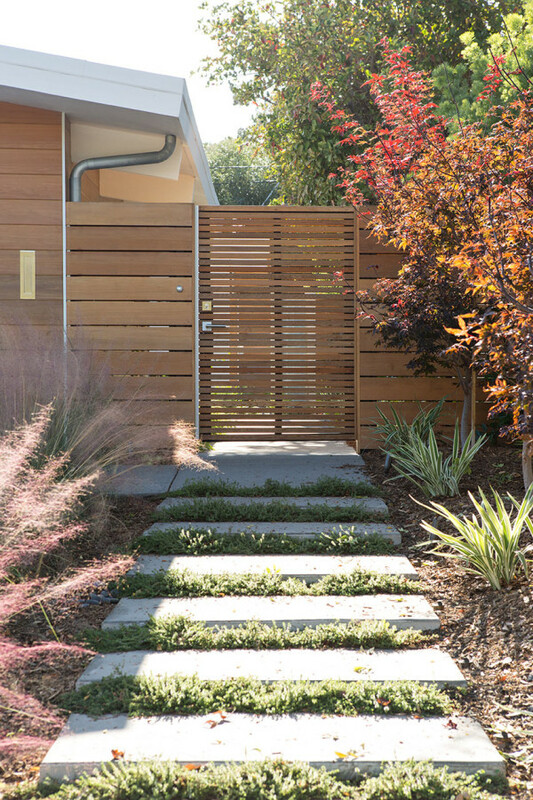 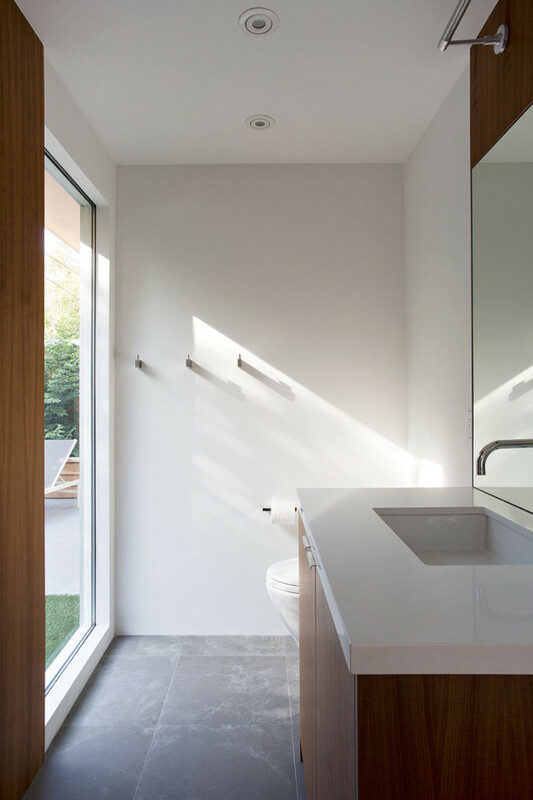 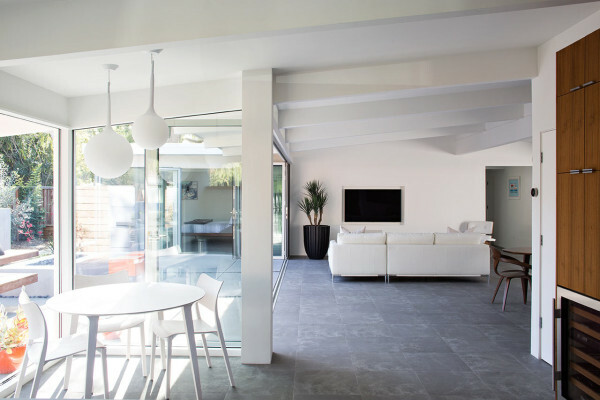 Klopf Architecture, Arterra Landscape Architects, and Flegel’s Construction took on the task of updating a classic Eichler in Palo Alto, California. 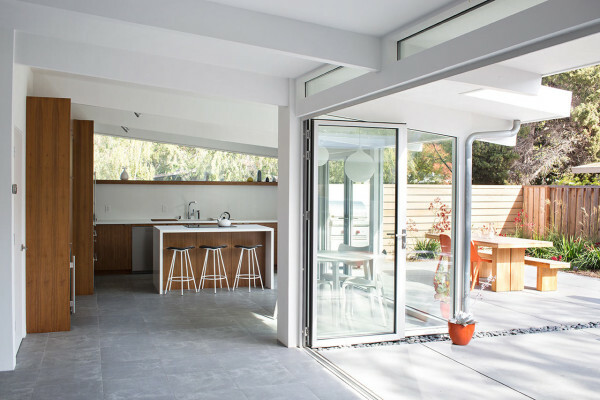 The classic open, indoor/outdoor design was expanded upon by extending the original walls of glass making even more of a connection to outside. 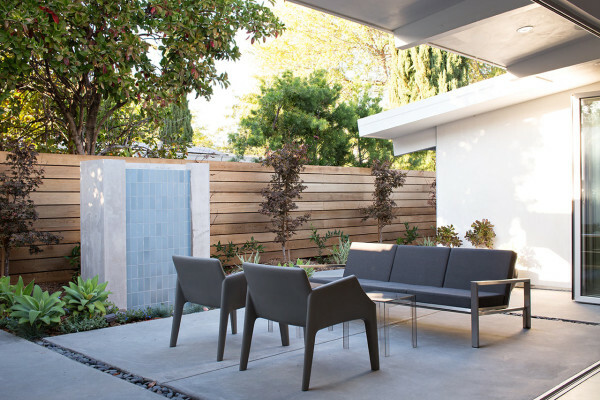 By opening up the living room on both sides, the space now expands out to private side yard areas that are hidden from the front of the house behind gates. 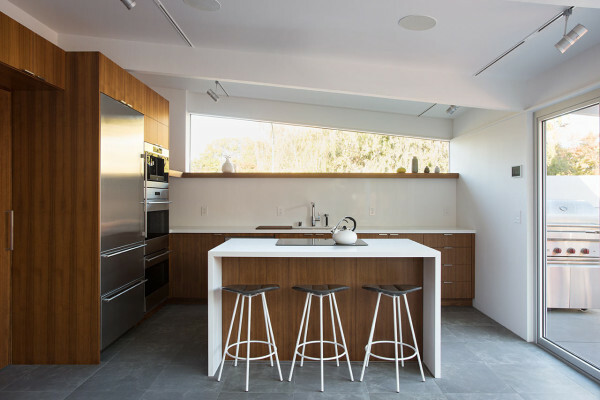 The kitchen is located in one corner of the house and is flooded with natural light from all of the glass. 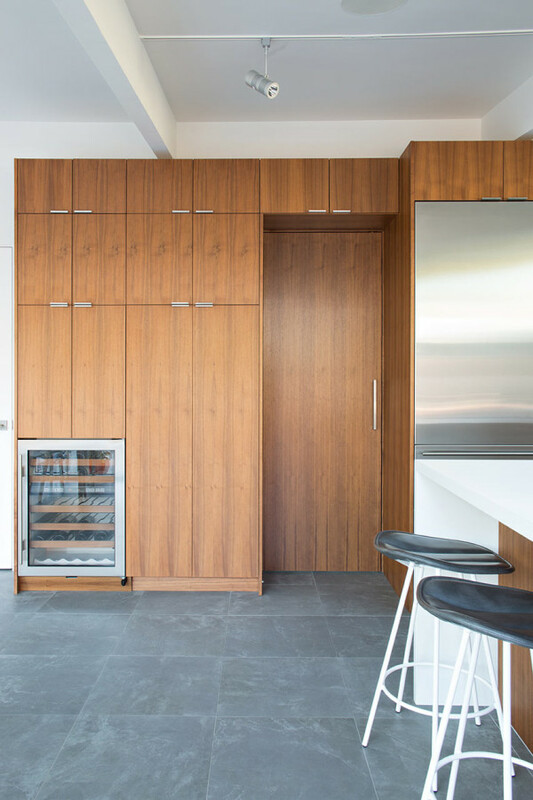 The white walls, ceiling, and countertops are warmed up with darker wood cabinets. 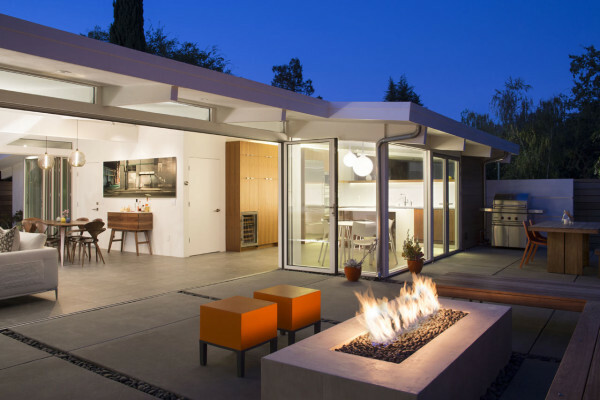 The design still feels very mid-century although it’s updated. 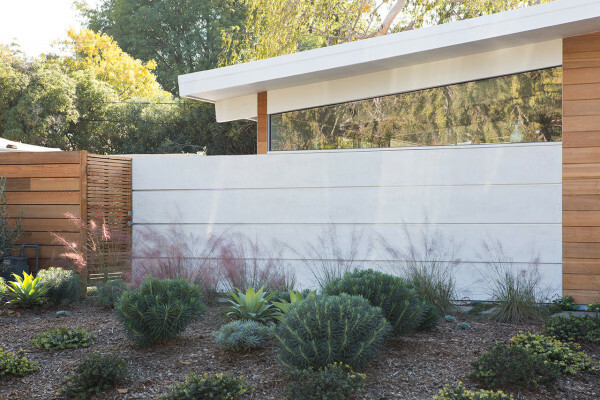 The 1,712 square foot residence has three bedrooms and two bathrooms that flank the central living room on the back of the house, while the kitchen, powder room, and garage are on the front of the house. 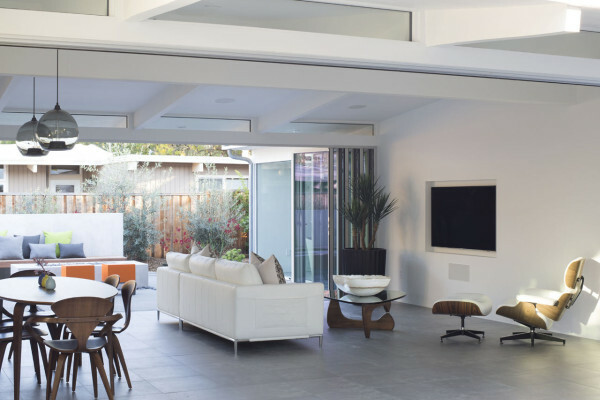 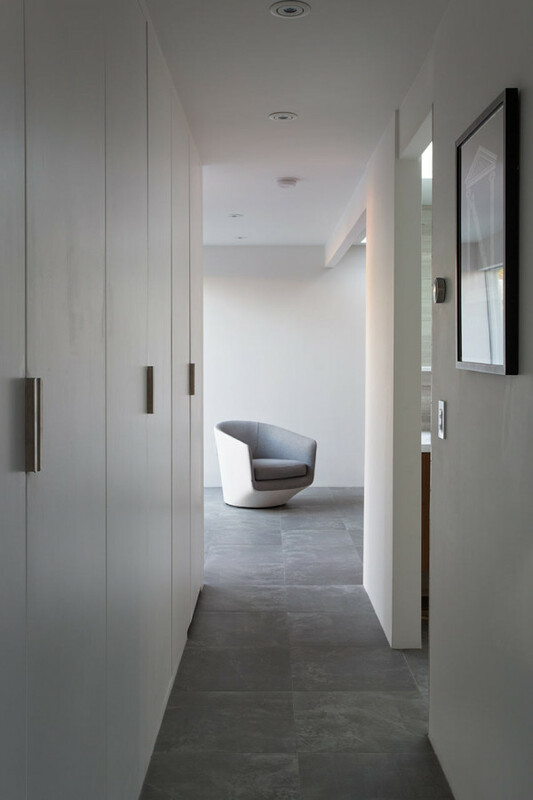 Both sides of the living room have openable walls that make it feel like a pavilion. 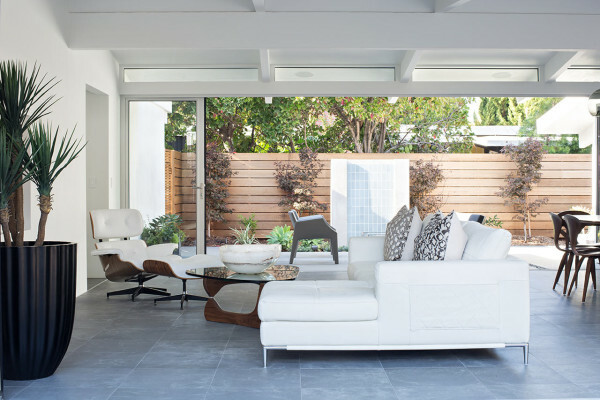 The outdoor patios feel like an extension of the interior and perfectly blend with the design.